Cameron County officials are working on a plan that would help stem erosion at beaches and private property on South Padre Island. The idea involves construction of a long dune. 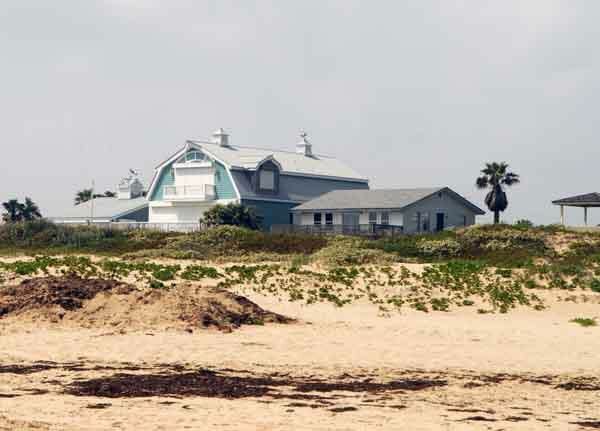 The Cameron County Parks and Recreation Department is teaming up with Texas A&M University-Kingsville to acquire funding for their joint effort to shore up dunes at coastal parks. Cameron County commissioners on Tuesday gave them the green light to apply for a nearly $556,500 National Fish and Wildlife Foundation grant that would fund dune mitigation projects at Isla Blanca Park, E.K. Atwood Park and Beach Access No. 3. The required match of nearly $567,000 of in-kind services from the county and university would come from the work put in personnel from each partner and use of county equipment, Parks Director Joe Vega said. The objective of the project is to build more resilient dunes and enhance sea turtle habitat, said Kim Jones, TAMUK professor and director of the university’s Institute of Sustainable Energy and the Environment.